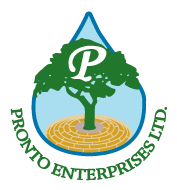 Landscape Design Kamloops | Products & Services | Pronto Enterprises Ltd. Whether you're building a new backyard at home or renovating your business' property, the landscape experts at Pronto Enterprises in Kamloops can help. We provide a wide range of services, including landscape maintenance and design, irrigation, hydroseeding, outdoor lighting and hardscaping. Schedule your design consultation today by giving us a call.